Development projects and coonstruction work around military bases make up an overwhelmingly large part of Afghanistan’s economy. With foreign troops withdrawing and declining aid, the country is looking for its future economic path. Based on the financial scope, Afghanistan has clearly topped the list of recipient countries of international aid for many years now. Since 2001, donors have been able to improve medical facilities and levels of education by a very considerable degree – to name but some of the most important accomplishments. However, external funds make up an overwhelmingly large part of Afghanistan’s economic performance with little sign of self-sustained economic development. In addition, greater scrutiny reveals that those sectors of the Afghan economy that have been newly created or strengthened are tailored towards serving the conditions created by the international intervention. Above all, it is the construction and retail industries that have profited from the numerous development projects and military bases, with retail benefiting from the logistic needs of the intervention forces and the comparatively high spending power of those Afghans they employ. Afghanistan’s domestic agricultural production, on the other hand, has contracted. As a consequence it is to be expected that the sectors in question will collapse once the intervening forces have withdrawn. However, considerable parts of the population have become used to such standards of living. On top of that, the funds thus generated do prop up a political system that, until now, has prevented a relapse into large-scale civil war. Still, it is more than likely that the exceptionally high external subsidies will decrease in the long run, posing the question of how to achieve self-sustained economic development. As a first step I would like to sketch out the main reasons why this has failed to materialise until now – in spite of the unprecedented amount of spending. As a second step, and based on this, I would like to present a few possible attempts at a solution. One of the main reasons Afghanistan lacks economic development certainly are its much cited “rentier state” features. The country’s most senior political actors are doing their best to skim off international funds and redistribute them to their camp followers via patronage networks. Funds provided by the donors are thus being turned into “rents” that subsidise parts of the population without ever being invested in profit-making businesses. Although it is often claimed, this practice is not questionable per se, as these funds, however much misappropriated from the donors’ perspective, do still serve their purpose, that is, they create political stability that is much greater than anything witnessed during the 1990s. Even when viewed from a micro-level perspective, it becomes obvious that the concern of the established political actors to keep the international subsidies alive is crucial in preventing the outbreak of widespread violence. Clearly questionable however is the increased hoarding of international resources by some political actors who do not redistribute them to their clientele. Funds that are being invested in secure Dubai or transferred into Swiss bank accounts will not profit the country. Nevertheless, the many donors, too, will have to be investigated as possible culprits for the lack of economic development. The deluge of funds, unparalleled in the country’s history, has meant that Afghanistan’s currency is overvalued, something not apt to facilitate exports. As the donor countries’ organisations vie with each other for the most qualified sections of the labour force they are willing to pay inflated salaries. The most able Afghans are thus employed by foreign state and non-state organisations, a phenomenon only too familiar from other countries. Efforts to build up an effective Afghan administration are thus being hampered. On top of that, competition between international actors and their efforts to spend all budgeted funds within the respective fiscal year creates an overabundance of aid money. Accordingly, this has fostered a recipient mentality among Afghans, that is, a mindset that views international aid as the norm and any efforts to become autonomous or to preserve the achievements made as superfluous. The frequent donation of grain, moreover, has the effect that local agricultural produce is rarely profitable. An equally decisive factor is the faulty sequence of developmental steps undertaken in Afghanistan. While it makes basic economic sense to build more roads, this also facilitates the influx of imported goods into a country without a domestic industry able to compete on international markets and lacking tariffs to protect it. Internationally sponsored education initiatives that have proliferated since 2001 are certainly well intentioned, yet without adequate jobs for graduates this will only fuel discontent. Precisely this is what happened with Afghan education initiatives after World War II. Up until the 1970s government-affiliated client networks were able to absorb graduates, yet the rising national debt signalled the end of this system. Almost all the leading proponents of Jihadi organisations that began their uprising in 1975 or 1978-79 respectively belonged to this group of thwarted social climbers. A similar dilemma arises from the fact that, since 2001, improved humanitarian conditions have enabled Afghan families to raise more children. Today the average age in Afghanistan is circa 15. Not least because this will exacerbate the problem of subdividing inherited estates, an issue already familiar from before the war, it is currently completely up in the air what employment opportunities there may be for the younger generation. The consequence of such developments is instability, a situation hardly conducive to economic growth. It can be argued, moreover, that many of the economic reforms favoured by the intervening powers since 2001, have been counterproductive. Mostly, they where based on neoliberal assumptions and other economic theories prevailing in the West, which view economic activity in ahistorical ways and without considering the actual power structures. This led to the expectation that a market with very few barriers would, by force of nature, create growth for all. 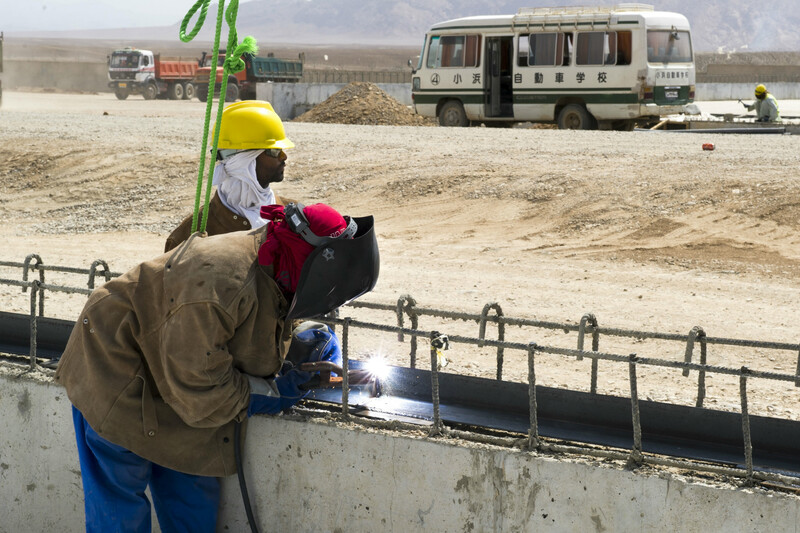 For Afghanistan the result has been that the overvalued currency along with a deluge of cheap imports has relegated formerly self-employed craftsmen into the ranks of day labourers. Domestically the absence of a state monopoly on legitimate violence and of a separation of powers between politics and economics, which gave rise to an unbridled market, have resulted in a few actors gaining economic monopolies. Solutions for the main obstacles identified in this paper have to be sought, above all, on part of the donors. They are faced with a dilemma: On the one hand, they will have to reduce their funding considerably, on the other, as seen with the fall of the Najibullah regime in 1992, this may in no case be allowed to occur too rapidly. Historically, whenever one group of the Afghan populace has been dropped from the patronage network, the result has been conflict – and the same may be expected to happen again. Instead, aid funds should be cut gradually and slowly – and this process will have to go hand in hand with boosting Afghanistan’s economic performance. In order to make such developments viable the country should be allowed to close its markets against imports. A reduction in aid will reduce the overvaluation of the Afghan currency, thus cutting labour costs. In addition, the international community should agree on measures to stop the flight of capital from Afghanistan – although this phenomenon is closely linked to the country’s “system of rents.” Consequently, this may only be effected through external supervisory measures that will erode Afghanistan’s sovereignty even further. According to international law such an intervention would be dubious as well as difficult to implement – and it would likely turn out to be counterproductive as it would further undermine Afghanistan’s already weak statehood. The lack of co-ordination between development projects as well as the excessive amount of money poured into the country are both generated by the donors’ interest-driven policies, that is, the donors are unwilling to subject their measures to any kind of central authority and they are defending their sizable budgets, no matter whether they are helping the country or not. Thus, the lack of co-ordination between donors is not a question better fine-tuning, it is an expression of the actual power structure. As a consequence, it is anything but realistic to expect changes in the near future.